Next, we tour the vineyard, the cellar located in the ancient building and the bottling area with the enologist and technical explanation of the process of fermentation, mixings and elaboration of the cava. We finish the visit with a taste of the 3 varietals of the cava: Macabeo, Xarelo and Parellada. 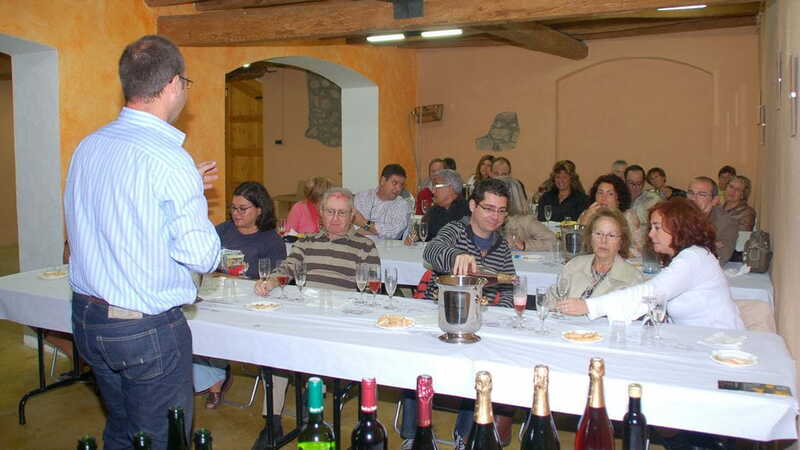 Finally each one will be able to realize its own mixing The visit will be guided by our enologist.